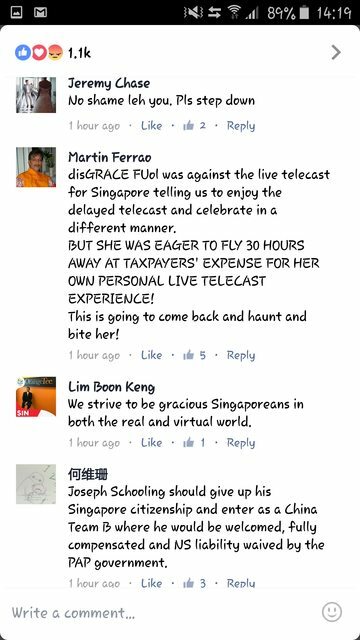 Sg Truth: Why is Grace Fu so Disgraceful ? This woman is hell of a thick skinned ! What is she doing in Rio or for that matter the other politicians and Tony Tan and wife .. all tax payers' expenses of course. 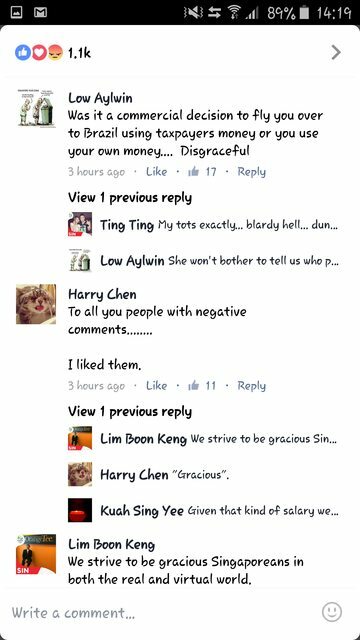 I am ashamed of women like TB Wah, that F Fu and others that are there as parasites ! enjoying Rio . 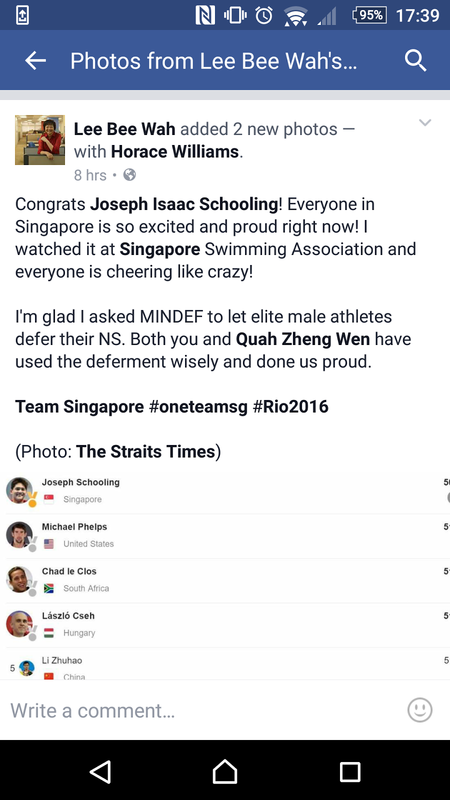 I am proud of Schooling, a true blood 3rd generation Singapore ! where are all the multi-million foreign talents ? It only shows that there are local talents. 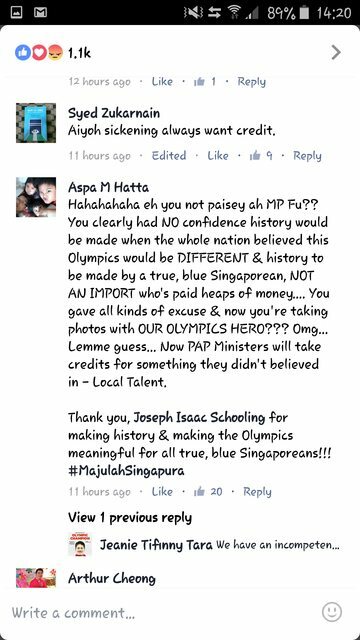 Don't waste time and tax payers money picking up outcasts from China to represent Singapore. 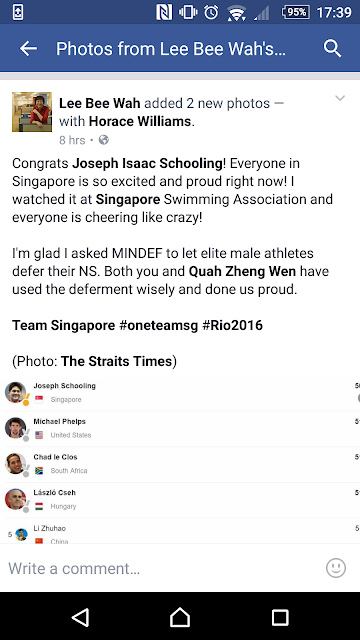 Schooling's parents must have spent a huge sum to send an only child to the USA at 13/14 years old. They believed in Joseph and provided everything for him to achieve his dream. The govt did nothing ! He was never groomed nor supported by any PAP-managed scholarship. 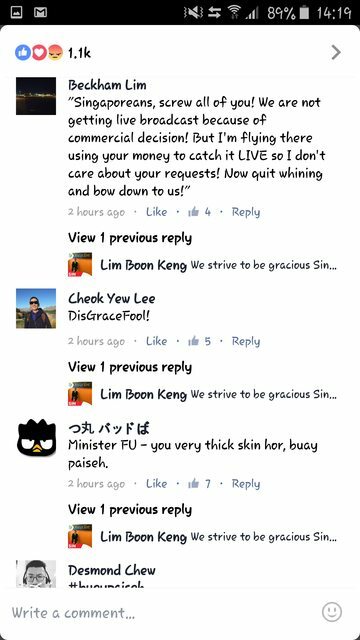 His mother had to almost beg Mindef to defer his NS ! 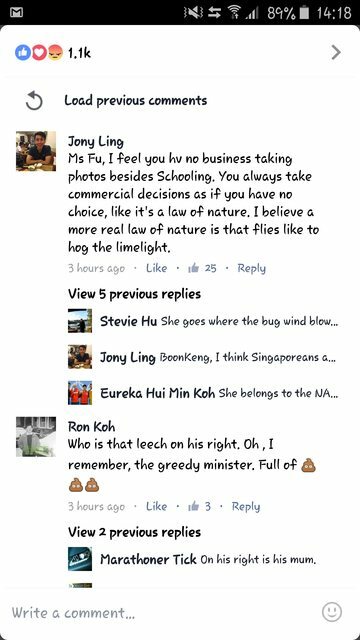 Now I bet all the politicians will take turn to have photo taken with Schooling. They are basking on Schooling's success ! 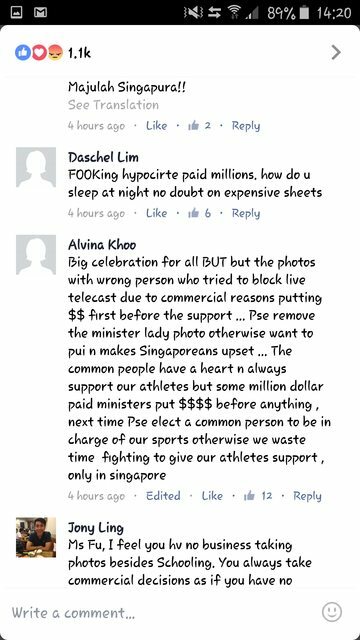 how thick skinned !